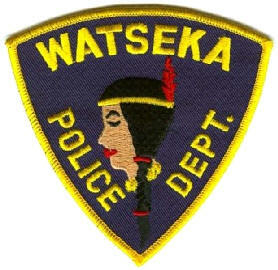 Watseka Police responded to a report of a stolen bicycle in the 400 block of N Second at 8:38 A.M. on 1003-18. Watseka Police responded to a report of illegal burning in the 400 block of E cherry at 12:32 P.M. on 10-2348. Watseka Police responded to a report of criminal damage to property in the 100 block of Hubbard Ct at 10:08 P.M. on 10-23-18. Watseka Police assisted the Iroquois County Sherffs Department in making a warrant arrest in the 500 block of N Fifth at 9:46 AM. on 1024-18. Watseka Police responded to a report of a suspicious person in the 300 block of E Lincoln at 10:25 A.M. on 10-24-18. Watseka Police responded to a report of criminal damage to property In the 1000 block of E Walnut at 2:25 P.M. on 10-24-18. Watseka Police responded to a report of a theft of a vehicle In the 100 block of Bell Rd at 3:07 P.M. on 10-24-18. Watseka Police responded to a report of a neighborhood problem in the 200 block of S Fifth at 4:34 P.M. on 10-24-18. Watseka Police responded to a report of suspicious circumstances in the 100 block of E North at 5:41 P.M. on 10-24-18. Watseka Police responded to a report of child custody in the 1500 block of E Walnut at 5:58 P.M. on 10-24-18. Watseka Police Investigated a two vehicle accident In the 300 block of S Fifth at 6:39 p.m. on 10-24-18. According to Police reports, a vehicle driven by Susan C Gerber, 58 Watseka was traveling on Fifth Street when she looked down for a moment which caused her to strike a legally parked vehicle belonging to Lynda F Hubner, Watseka, Damage was estimated at over $1,500, No injuries were reported and no cltatlons were Issued. Watseka Police responded to a vehicle complaint on US Highway 24 at 6:55 P.M. on 10-24-18. Watseka Police responded to a fight in progress In the 200 block of W Locust at 9:56 P.M. on 10-24-18. Watseka Police investigated a report of drug traffic in the 300 block of W Victory at 3:10 A.M. on 10-24-18. Police were able to locate three indivlduals and when contact was made, one of the suspects ran. Police gave chase but were unable to apprehend him. Police are aware of who the suspect is, and arrests are expected to be made.